From the death of its President. This entry was posted on 28 November, 2013 in homepage and tagged Algonquin, Assassination, Cheyenne, Claire Palmer, Dallas motorcade, Dealey Plaza, Fifty Years Later, Grassy Knoll, Heathcote Williams, John F Kennedy, loss of innocence, Militarised Disneyfication, Native American Indians, November 22nd 1963, Sioux. Bookmark the permalink. It was a stage managed Hollywood event. The intrigue has been a 50 year old money maker, planned years and years before it even happened. 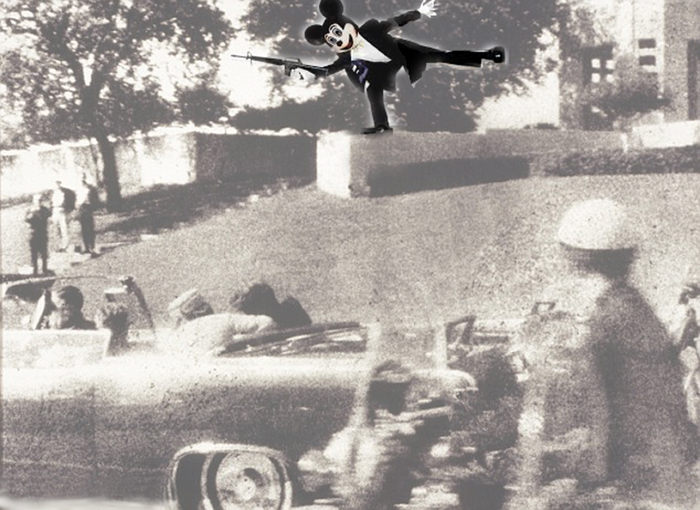 Theyve made zillions from the Zapruder film, to this day and beyond. Quite sick, proclaiming a national devotion, regret and love for the man yet repeatedly watching his brains being blown out. The American experiment in a nutshell.